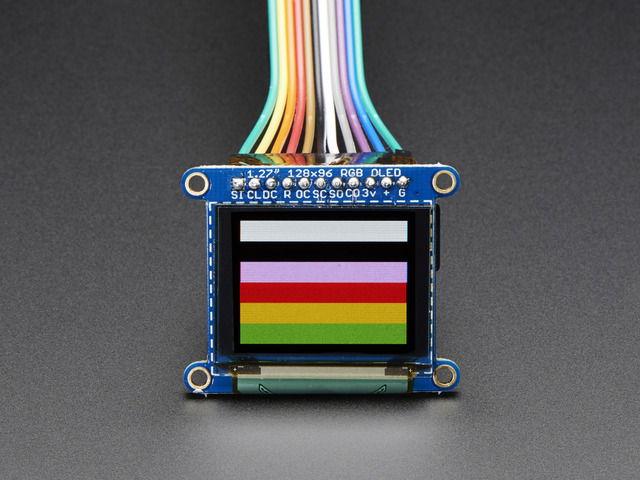 Note that the Bitmap example code uses hardware SPI wiring for maximum speed. You can still use software SPI, but make sure that the pin definitions match your wiring and that you modify the example to select the Software SPI option (#1) in the code. The SPI pins shown are for Atmega-328 processors. To use this wiring on other processors, software SPI must be used. If you are confused by the abbreviations on the front of the board, the full signal names are printed on the back! 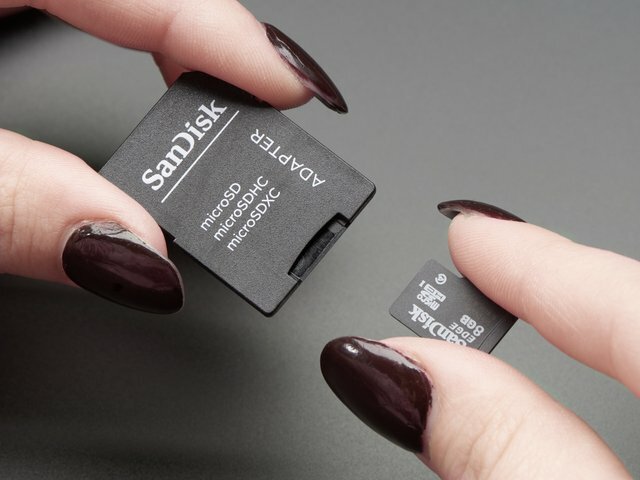 To display bitmaps from the on-board micro SD slot, you will need a micro SD card formatted FAT16 or FAT32 (they almost always are by default). There is a built in microSD card slot on the rear of the breakout and we can use that to load bitmap images! Next you can either download the image here or copy it from the images folder from inside the library files. Insert the micro SD card into the slot on the back of the SSD1351 breakout board. 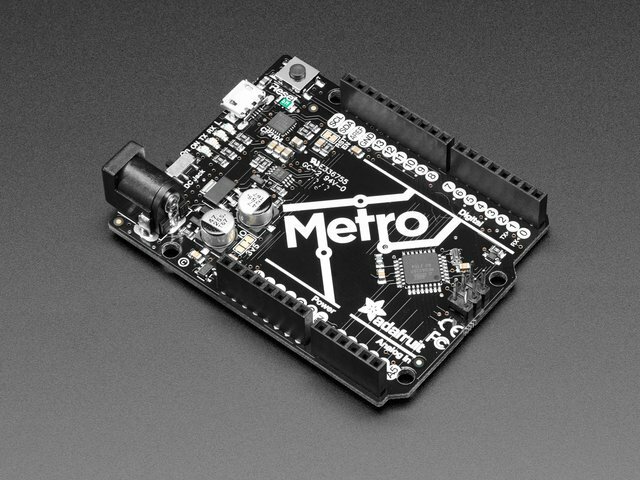 Copy the file "lily128.bmp" from the Adafruit_ImageReader_Library\images folder (or wherever you saved it if you downloaded the file) over to the root directory of your micro-SD card. 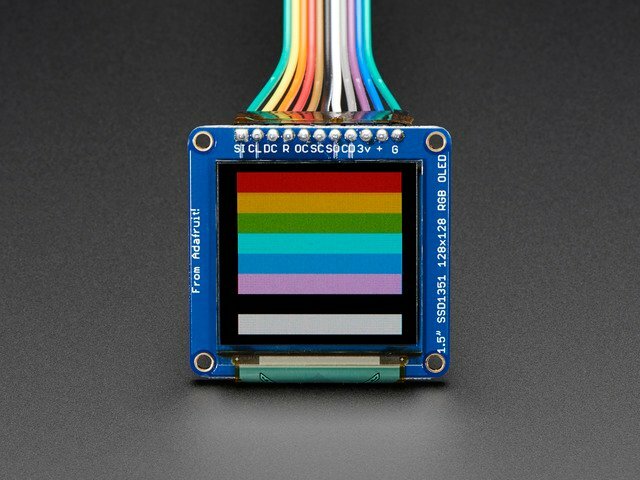 Select "Examples->Adafruit_ImageReader_Library->BreakoutSSD1351" and upload it to your Arduino. // Load full-screen BMP file 'rgbwheel.bmp' at position (0,0) (top left). // Notice the 'reader' object performs this, with 'tft' as an argument. reader.printStatus(stat);   // How'd we do? On the line with reader.drawBMP() change "/rgbwheel.bmp" to "/lily128.bmp". After that, upload it to your Arduino. When the Arduino restarts, you should see the flower as below! To make new bitmaps, make sure they are less than 128 by 128 pixels and save them in 24-bit BMP format! They must be in 24-bit format, even if they are not 24-bit color as that is the easiest format for the Arduino to decode. You can rotate images using the setRotation() procedure. This guide was first published on Aug 16, 2013. It was last updated on Aug 16, 2013. This page (Drawing Bitmaps) was last updated on Apr 21, 2019.